Yukon is a land of trails. Trapper trails, prospector’s trails, musher’s trails, the trails of famous explorers, and the trails of indigenous traders—all of these trails stitch together an immense landscape of ice-covered mountains, rolling tundra, and thick coastal forest. If you’re a hiker, you’ll agree the best way to experience a place is to follow its trails. If you also appreciate a good meal, a shower, and sampling of local culture in the evening, then this is the tour for you. 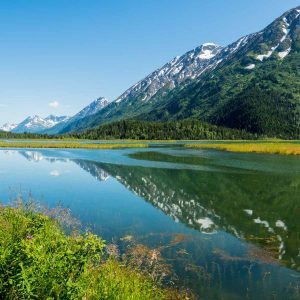 Our Yukon and Alaska Explorer tour gives you a sampling of all the best hikes throughout Alaska and Yukon Territory in an incredible two-week road trip. 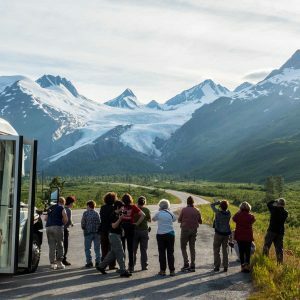 Our itinerary puts you on foot in the middle of it all, featuring visits to Denali National Park, the Coast Mountains, the far northern tundra, and the best of the coastal fjords in the company of an experienced guide and a small group. Welcome to Yukon Territory! Your tour guide will meet you at the airport and transfer you to your hotel. Here you’ll meet the rest of your group and go through a brief orientation. After breakfast, we’ll have some tome to explore the Yukon’s capital, before beginning our trip with a drive south to the Alaskan town of Skagway. Our route takes us past the smallest desert in the world, the extraordinary colours of Emerald Lake, to Carcross, a colourful little village at the north end of Bennett Lake. 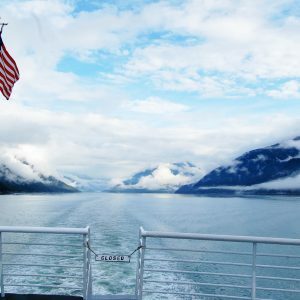 After a break to sip some local coffee and soak in the mountain views, we’ll continue over White Pass, and descend from the Coast Mountains to the Pacific coast and the town of Skagway, Alaska. A short drive from Skagway is the beginning of the Chilkoot Trail, the rugged gateway to the North for generations of indigenous traders and thousands of gold hungry prospectors. We’ll hike the first few (relatively gentle) kilometers of the trail, before returning to Skagway for the night. Skagway became famous as the gateway to the Klondike during the famous gold rush of 1898, and its boomtown character has been carefully restored and maintained. The Chilkoot Trail—perhaps the most famous trail in the North--begins at Dyea, not far from town. We will have the morning in Skagway to explore the town and its many shorter trails before boarding the ferry to Haines, Alaska. From Haines, we will head over the Coast Mountains following the line of the Dalton Trail North. This was one of the few overland routes to the Klondike and an ancient trade route for coastal Tlingit peoples. At Dalton Cache we will cross international border yet again, en route to Haines Junction in Yukon Territory. 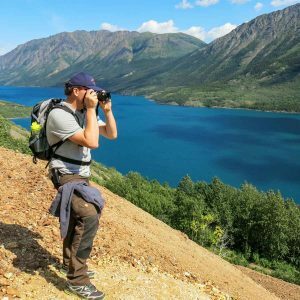 We’ll spend the entire day today hiking through Kluane National Park, which extends over 220,000 square kilometers of the northern Coast Mountains southwest of the Haines Junction. A full day hike on one of the many trails leading to Sheep Mountain offers views of eighty-kilometre long Kluane Lake and a peek into the enormous landscape that lies hidden beyond the front ranges. In the evening, we may have the option of hiring a charter for a flight over the largest non-polar ice fields in the world, which sprawl across the interior of this enormous national park. We’ll spend this morning hiking another of Kluane’s great trails: the Auriol Trail, which lies south of town. Late in the afternoon we’ll take the two-hour drive back Whitehorse, following the Alaska Highway eastbound. 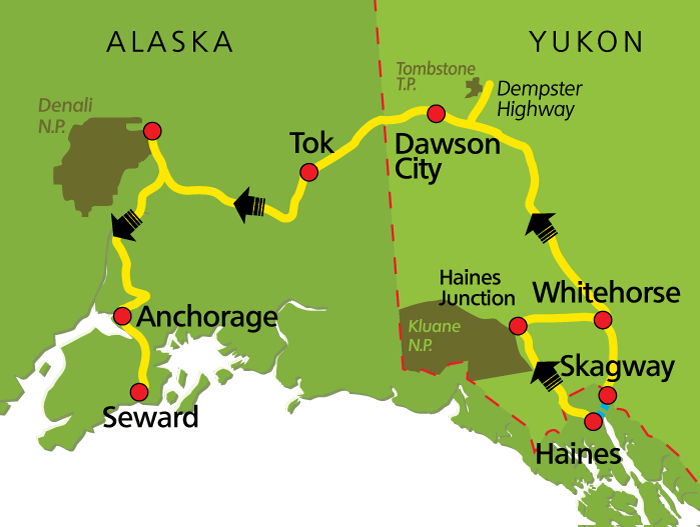 Today we head north to Dawson City. Before leaving town, though, we’ll visit the Beringia Centre, a museum that gives an extraordinary insight into the prehistoric origins of the landscapes through which we will be travelling. Then it’s off on the Klondike Highway toward Dawson City. Our route follows the Yukon River for much of the distance, and we’ll frequently catch glimpses of this 3200km long waterway, once the most important artery in the land. We’ll take a break at the Five Finger Rapids, before continuing on to the famous gold rush capital, with time to catch the can-can girls kicking up their skirts at Diamond Tooth Gertie’s Gambling Hall. 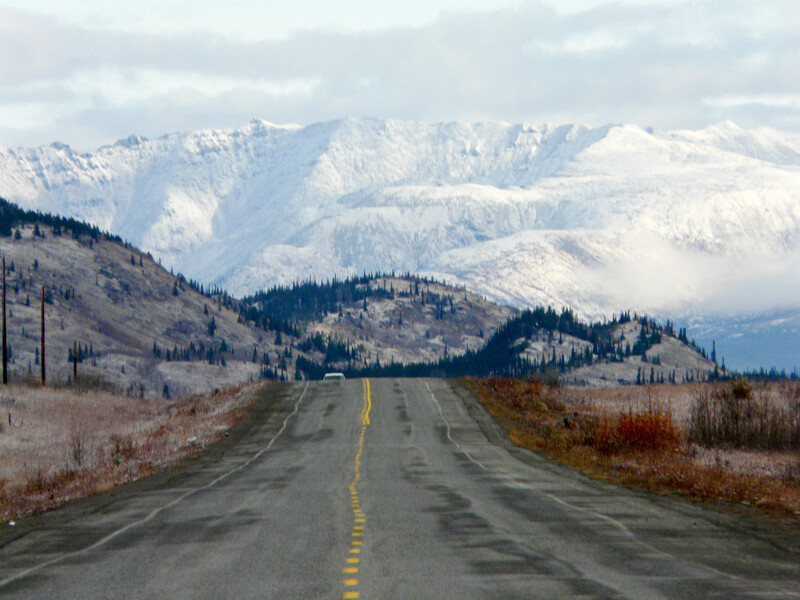 An early start this morning puts us two hours up the Dempster Highway, in the middle of the rugged Tombstone Mountains. This gravel highway is 730 kilometers long and is Canada’s only connection by road to the Arctic Ocean. Tombstone Territorial Park lies at the beginning of the vast arctic tundra, and is overshadowed by the dramatic syenite peaks that give the park its name. We will spend the day hiking here on ridges overlooking the expansive tundra, where great herds of caribou migrate hundreds of miles each year. Dawson City, is a vibrant, fun-filled town that is loaded with history. We will spend an entire day here. A highlight is the drive into the Bonanza and Eldorado Creeks where you will have the option to visit an active gold mine. Later we’ll head up the Midnight Dome, the mountain overlooking Dawson and the surrounding wilderness. There’s time today to stroll through this garish gold rush town, once the largest city west of Winnipeg and north of Seattle. Many of the original false-fronted still remain, and a wide variety of historic sites and exhibits are easily accessible on foot. Today we’ll take the Top of the World Highway into Alaska. This gravel road follows ridges through the high tundra – one of the most beautiful and spectacular high roads of North America. We’ll pass through the quirky northern towns of Chicken and Action Wade Camp, before reaching the edge of Denali National Park. Today we head west along the Denali Highway. 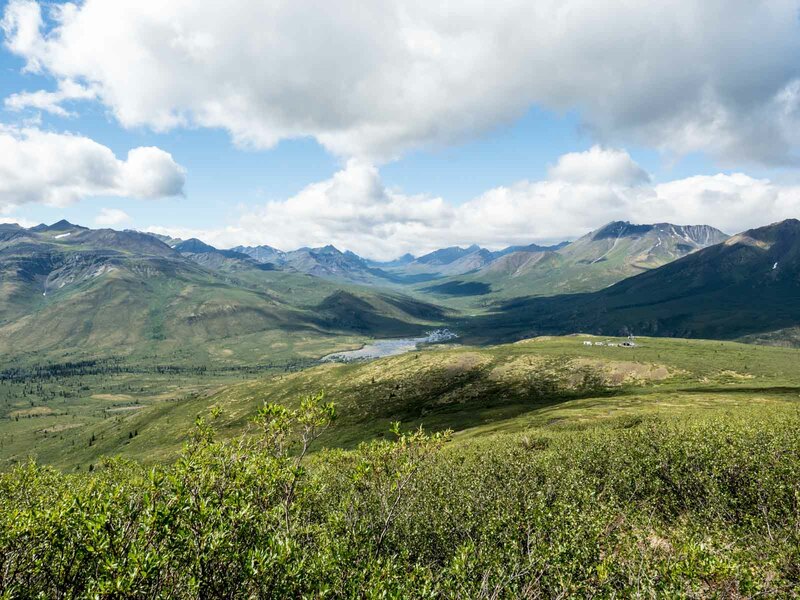 This is one of the most remote roads in the State, built on glacial eskers across the huge glacial floodplain along the border of Denali National Park. There are many opportunities for short exploratory hikes. 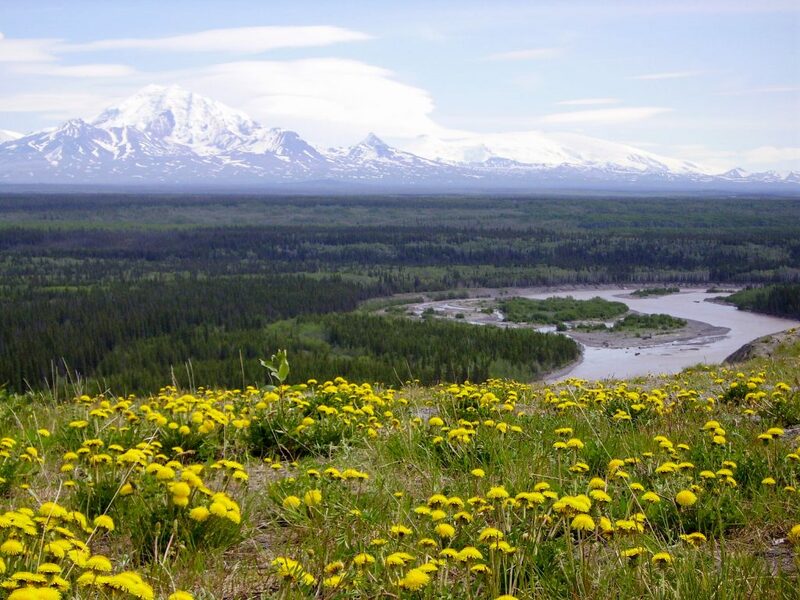 Weather permitting, we will have time this evening for an optional one-hour scenic flight over Denali, which at 6193 meters is North America’s tallest peak. Today we’ll take a National Park shuttle bus deep into one of the most scenic landscapes in North America. 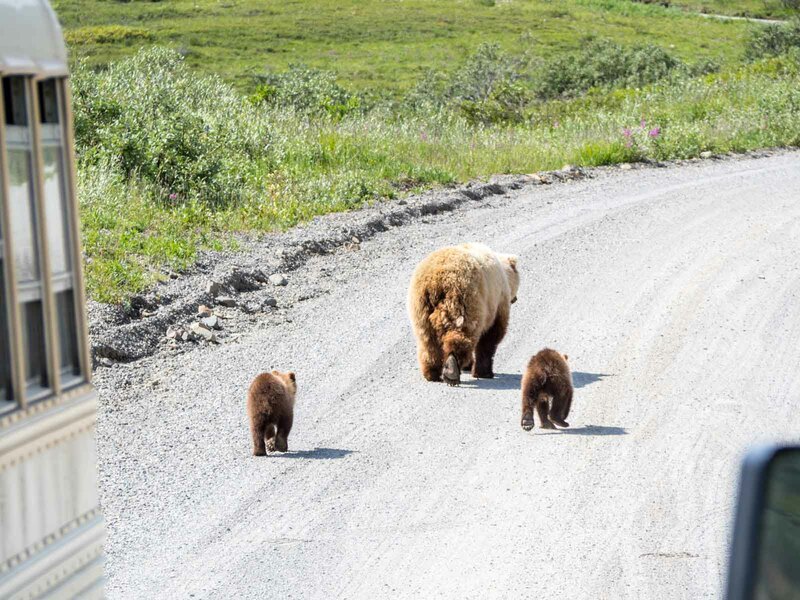 In good weather the road offers spectacular views of Denali, and the chance to see wolves, Dall sheep, moose, caribou, and grizzly bears, as well as the many fox, coyotes and eagles. This classic Alaska: the great land at its very finest. 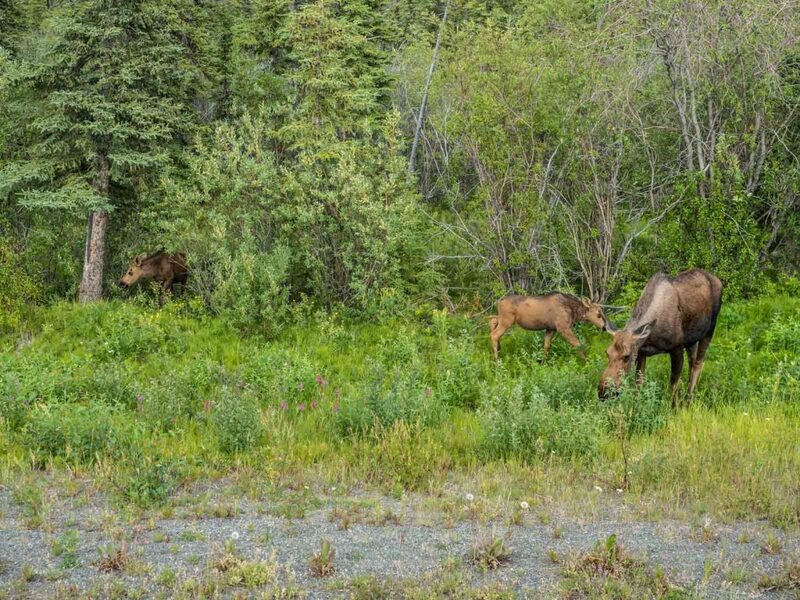 Today we head south along the George Parks Highway through the Alaskan interior to Anchorage, where we join the Seward Highway and follow the spectacular Turnagain Arm. The inlet was named by Captain Cook after yet another unsuccessful attempt to find the Northwest Passage. Here, tides that are among the highest in the world attract beluga whales in great numbers. Back on the land again, we’ll drive to Portage, where we’ll visit one of Alaska’s most accessible glaciers before continuing along the Kenai Peninsula to the town of Seward. This morning we’ll take a hike in the Seward area. Our favourite is the Exit Glacier, where a short walk takes you to the edge of one piece of Alaska’s great icefields. 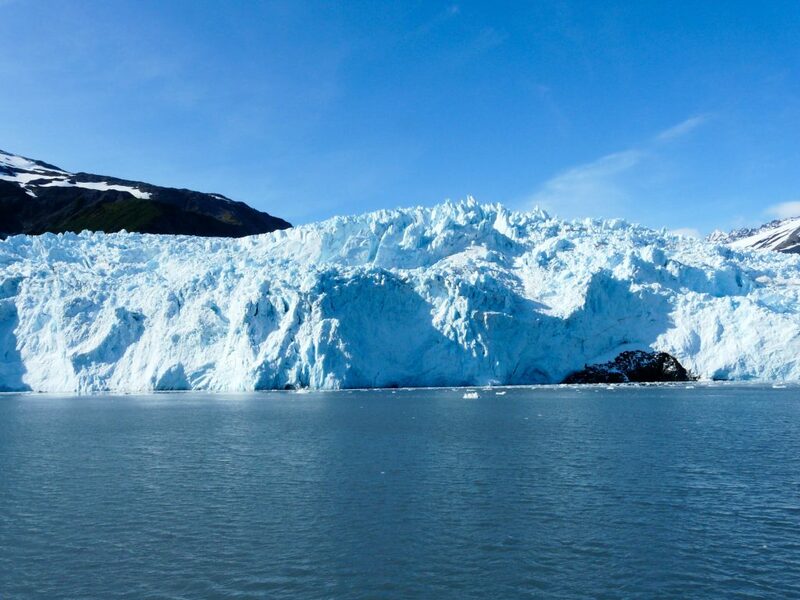 We may choose another hike further for the afternoon, or you may want to take advantage of one of the main attractions of the Seward area: the Kenai Fjords National Park. This optional six-hour marine life viewing cruise takes you through waters teeming with seals, sea lions, sea otters, as well as orca and humpback whales. Moose and black bears often wander along the shorelines, and at the Bear Glacier, calving ice sends up massive waves as it plunges into the ocean. Today we’ll head back up the Turnagain Arm to Anchorage. 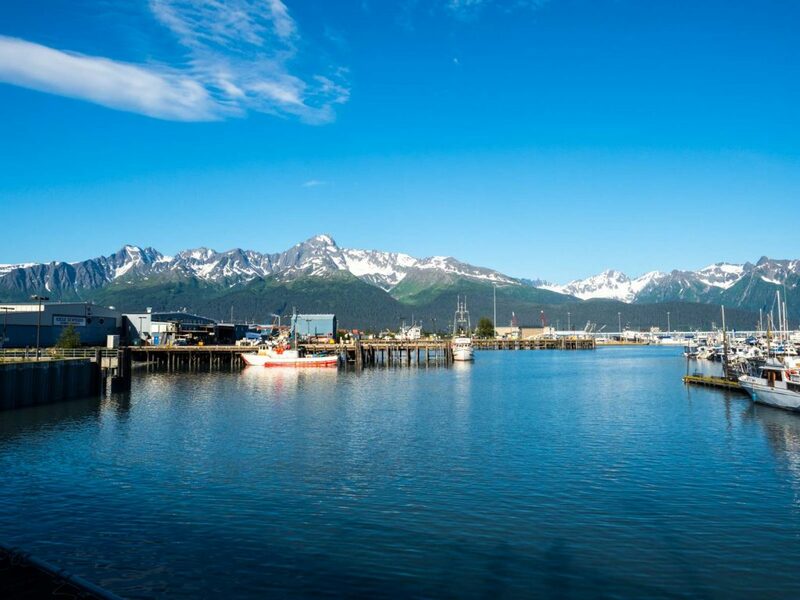 The rest of the day is free to use as you see fit in in Alaska’s biggest city. Check out Lakes Hood and Spenard, where up to 800 floatplanes take off and land daily. The aviation museum is nearby, a great place to gain an appreciation for an important part of Alaskan life. In downtown Anchorage there’s the Museum of History and Art, and, of course, the essential American shopping malls. Take a tour through some of the bars and microbreweries, which offer a fantastic assortment of craft beers. On the last day of the trip, we’ll celebrate with a fine dinner together. Our tour ends in Anchorage. Ruby Range will provide a transfer to the airport or to a connecting program. Moderate hikes with a light day pack, courses and activities are suitable for beginners and include necessary equipment and safety gear. A day hike is approx. between 3-5 hours.